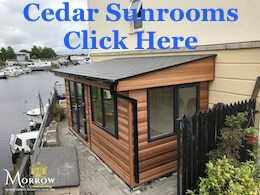 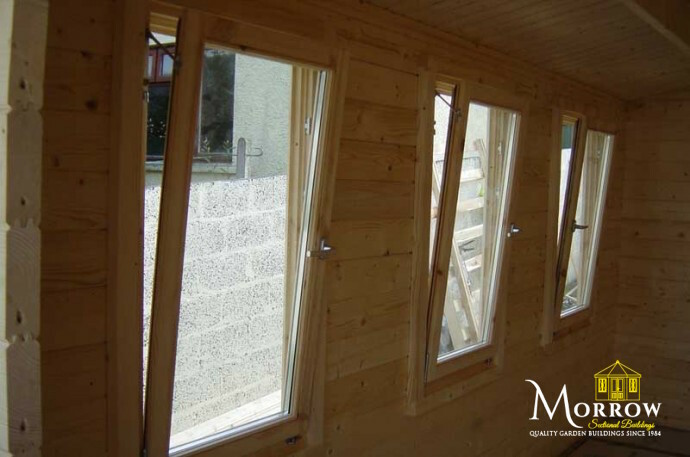 We offer three styles of windows with our cabins. 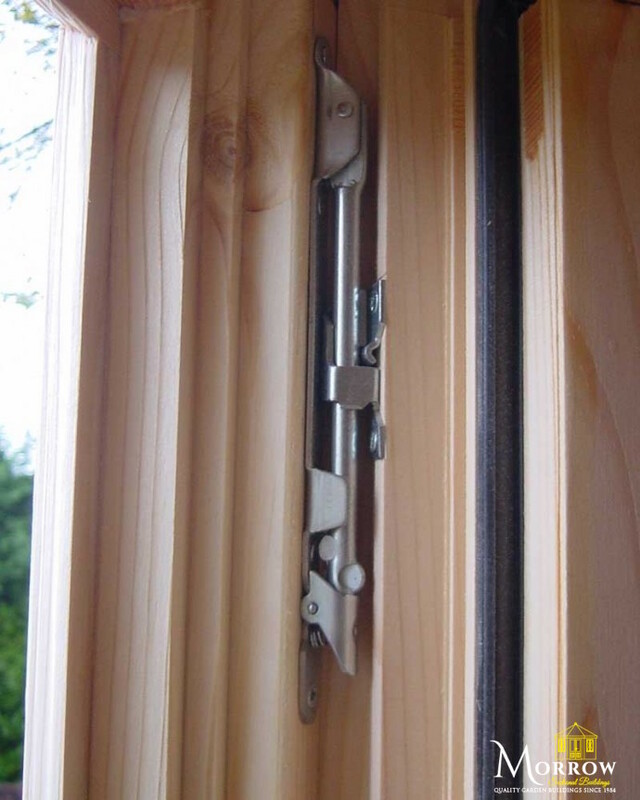 For timber thicknesses of 28mm, Single Glazed windows are supplied as standard. 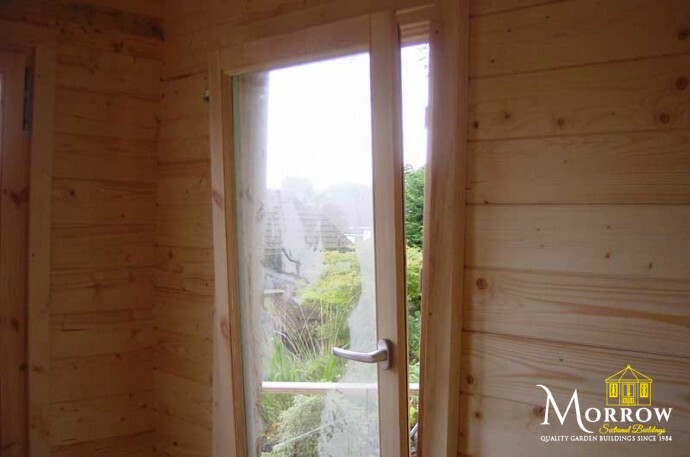 For timber thicknesses of 34mm, Double Glazed windows are supplied as standard. 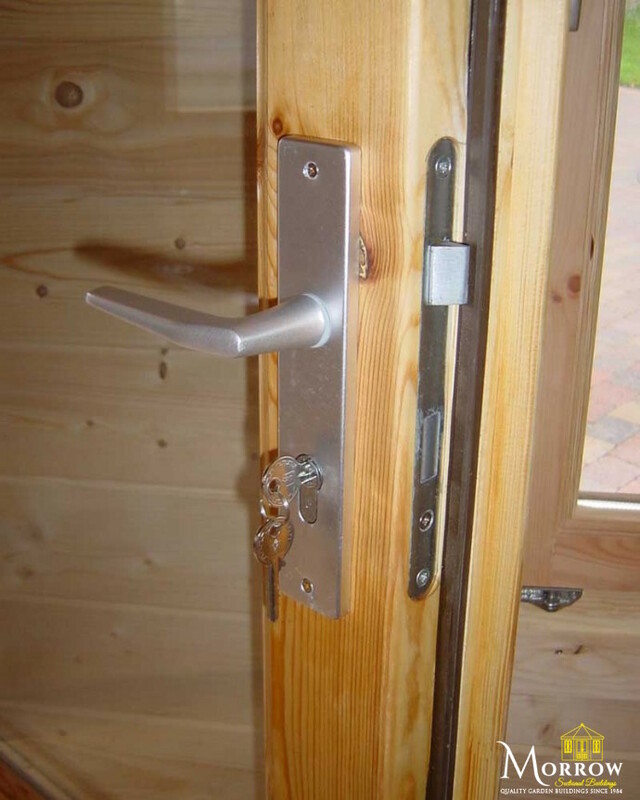 For all cabins with timber thicknesses of 44mm / 70mm / 90mm/ 34+34mm / 44+44mm / 70+70mm our market leading Double Glazed Tilt and Turn windows are fitted as standard, with a 5 point locking mechanism and weather proof seal for a perfect shut every time.